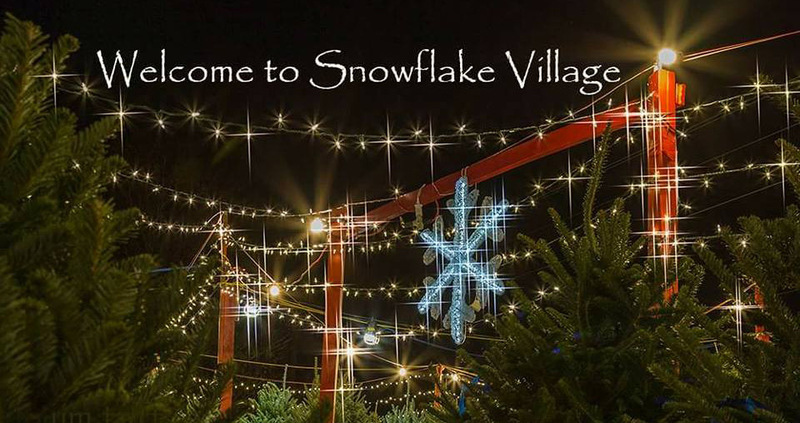 Snowflake Village - Shop online or visit the lot to purchase Christmas Trees, Wreaths, Garland and more then select a charity. Proceeds of the purchases go to support local charities. Photos are FREE for you to take! Our mission is to serve the community by giving back to local area non-profits, community organizations, and those in need. We have created a unique "Christmas Tree Experience" that is unlike any other! When you purchase a tree from us online, choose the charity of your choice, and Snowflake Village will contribute a portion of our proceeds to the designated charity. Simply come visit us at the lot, select your tree, and show your RECEIPT to the cashier to finalize your purchase. Visit the Prayer Chapel, Santa's Shack, or simply sit around a warm fire and enjoy complimentary marshmallows, candy canes, and a cup of hot chocolate. It is a wonderful family experience!